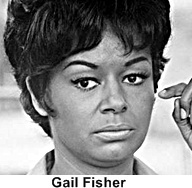 who first worked for a detective agency known as Intertect, which relied heavily on computers and a large network of operatives. 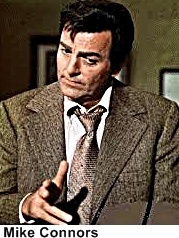 In the second season, Mannix opened his own agency, with police widow Peggy Fair working for him as his secretary. Considered one of the most violent television series of its era each episode featured plenty of fistfights, car chases and shootouts. During the course of the series Mannix is shot and wounded over a dozen separate times, he is knocked unconscious about 55 times. During filming Connors actually breaks a wrist on one occasion and dislocates his sholder on another. One of the more interesting aspects of Connors involvement with the show was his love of muscle cars was shared by his Mannix character.